No fax cash advances are pay day loans taken out without requiring any written verification. These options mostly occur online. Since they do not require fax verification and no one will ever know you took out the loan. It does not hit your credit score like other loans. People taking out these loan options are collateralizing a future paycheck in return for cash today. Most people taking these loans do not have other options and need the loans to prevent default or even eviction from their residence. While the people taking pay day loans are desperate, they will rarely qualify for a traditional loan option from a bank. In this way, the pay day loans fill an important market need. While faxless loans do not hit your credit report, they still assess huge interest rates and are legally binding debts. 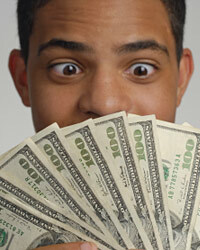 Most people who take these loans find they cannot meet the high interest payments once they do receive their paycheck. In fact, these loans often lead to future payday loans. As a result, they are illegal in many locations. If you need cash immediately, it is better to borrow from another source despite the ease of faxless lending.